I love Mexican food. I love authentic Mexican food, kinda sorta Mexican food, trashy street Mexican food, you name it, I’ll probably eat it. 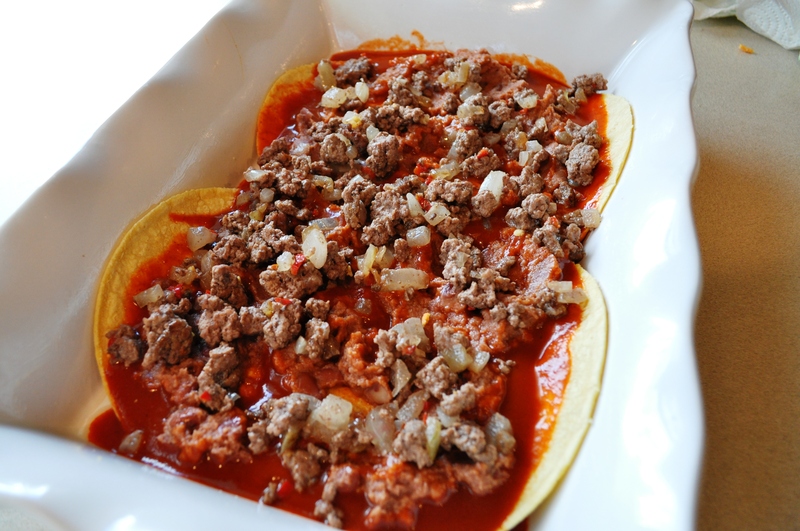 However, Mexican food is not always friendly food to those of us who have to eat gluten and dairy-free. Especially the traditional gooey, cheesy, yummy saucy things that I like to order. 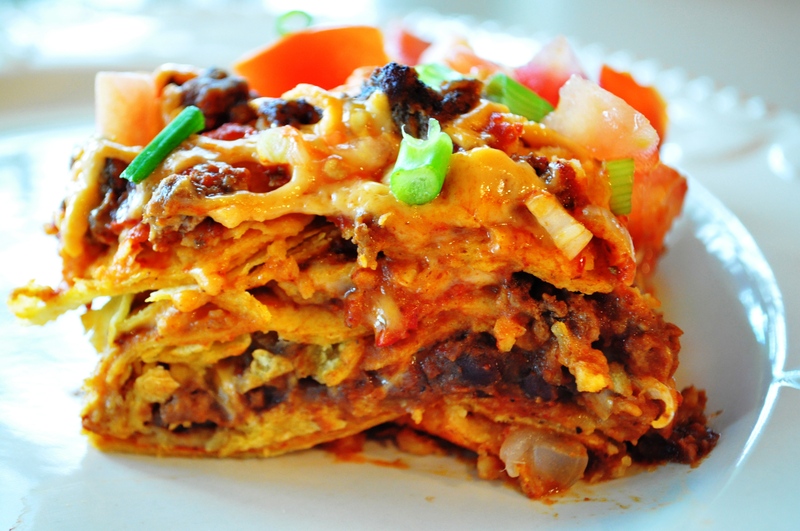 This gluten-free and dairy-free enchilada casserole (I’m sure someone’s Mexican grandma is rolling in her grave right about now) is simple and delicious and even my gluten and dairy loving husband likes it. Open re-fried beans and set aside. 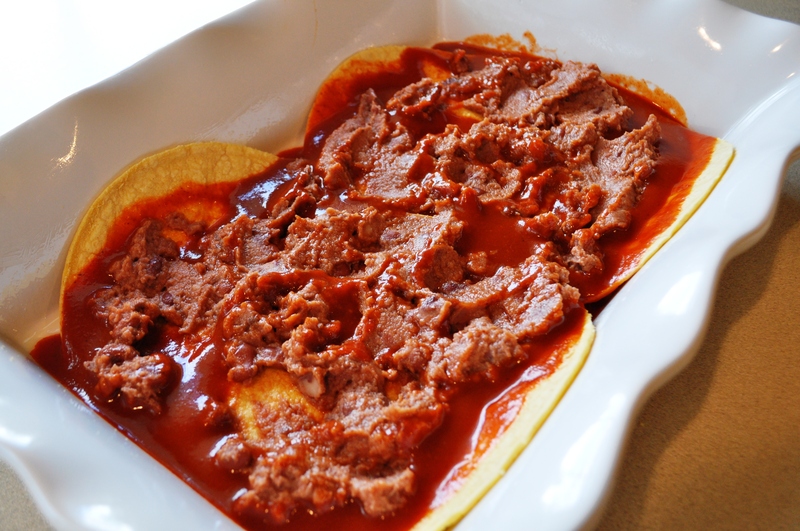 Place the enchilada sauce in a small sauce pan and heat until warm. 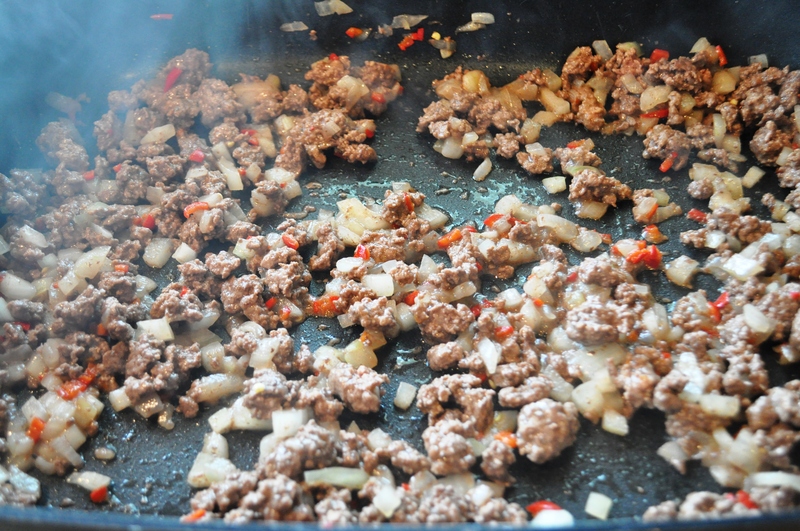 Place the hamburger, onion, and jalapeno in a large skillet and cook until meat is done, drain oil if necessary. 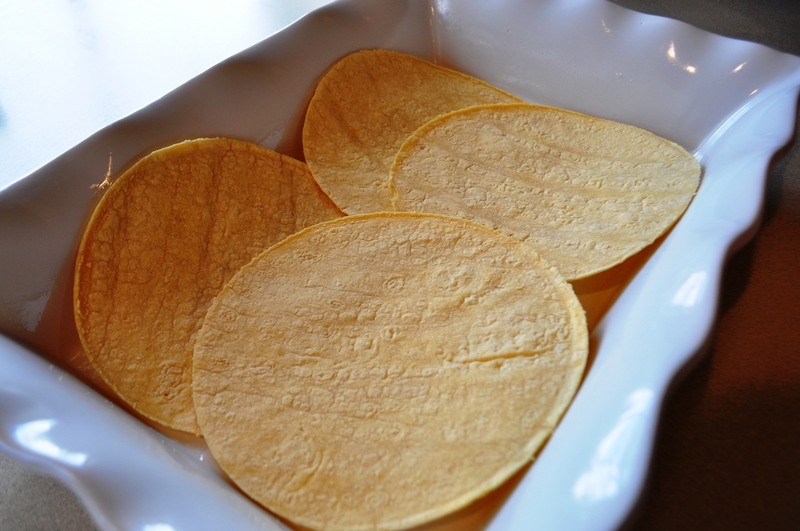 Spray a 9×11 baking dish lightly with non-stick spray and layer four tortillas on the bottom. 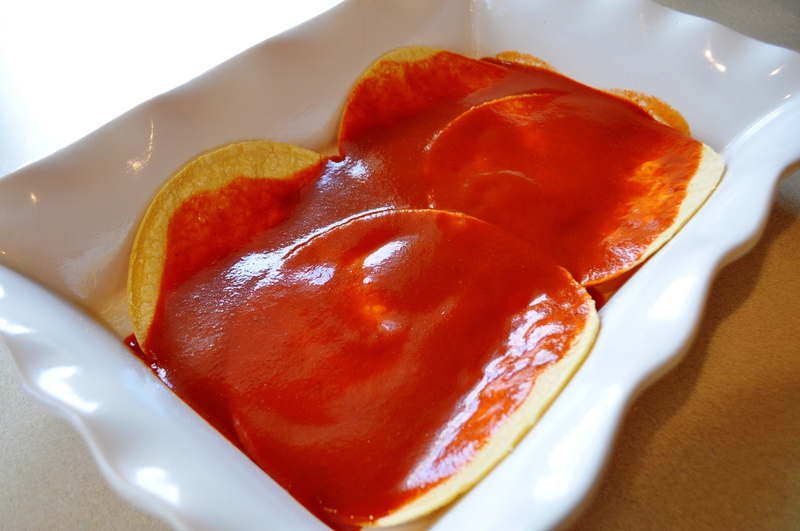 Pour a ladle of sauce over the tortillas. Add about 1/2 can of the beans and spread them out a little bit. Add about 1/3 of the meat mixture. 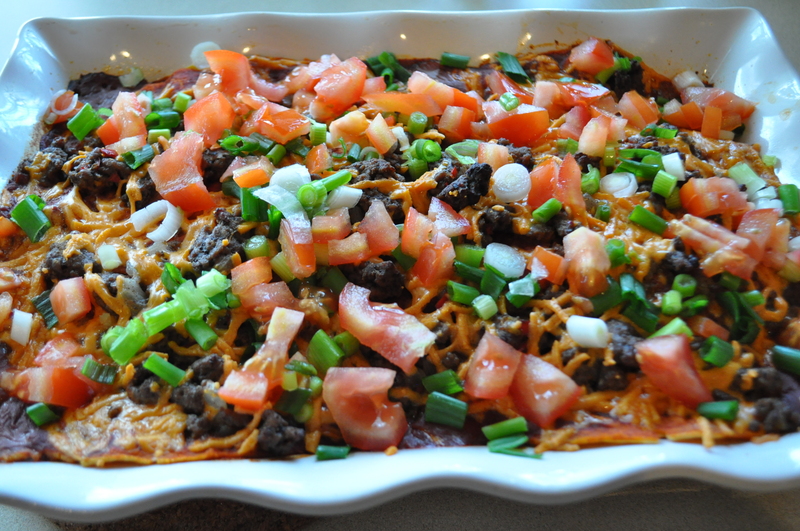 Sprinkle with a little cheese and then do the process all over again until you run out of ingredients. I think I did three layers with about a cup of sauce left over. You don’t want it too juicy. 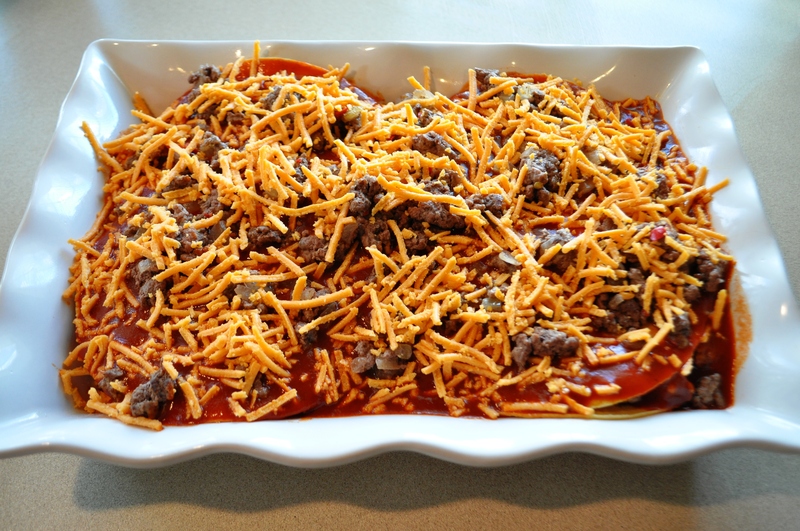 The picture below is after the third layer before going into the oven. The third layer gets a more generous helping of cheese. Bake in a pre-heated oven until bubbly, about 3o-35 minutes or so. Top with green onions and tomatoes before serving. That looks incredible, and soo fresh!!! Hi there! This looks amazing! I would just like to point out within the recipe you say “flour” tortilla when you mean to say “corn” tortilla. Thanks for a yummy recipe! Hi and thank you for stopping by and commenting. Actually, it says “layer FOUR tortillas” not flour. But thank you for alerting me regardless. Can you substitute chicken, turkey, or another ingredient (suggestions welcome) for the beef? This looks like a great easy recipe; I’m going to make it for my sister-in-law who’s about to have a baby. I want to freeze it so she can bake it as needed, but since I haven’t made it before, I don’t know what to recommend for baking it — bake from frozen, doubling the time, or thaw in fridge and bake as directed? Good tip; thank you for the speedy response! About to assemble it now.